A would-be eco-terrorist tried to send Nazi material to Charleston church shooter Dylann Roof and was arrested after making what she thought were bomb materials in an effort to blow up a pipeline, according to the Department of Justice. Elizabeth Lecron, 23, is slated to appear in federal court today after being charged with one count of transportation of explosives and explosive material for the purposes of harming others and property, the officials said. "Through her words and actions, she demonstrated that she was committed to seeing death and destruction in order to advance hate. This case demonstrates terrorism comes in many guises and we will remain vigilant to protect all Americans," said Justin Herdman, the U.S. attorney for the northern district of Ohio. Investigators started digging into Lecron's online presence "after one of her associates expressed a desire to conduct a violent attack," the release states. Authorities say she "frequently posted voluminous photographs and comments on social media glorifying mass murderers, including the Columbine shooters and Dylann Roof." Her Tumblr account was shut down for undisclosed offensive content, prompting her to create a new account using the name "CharlestonChurchMiracle," according to the DOJ. The affidavit in the case states that she "began corresponding with" Roof, although the nature and frequency of the communications were not disclosed. She also flew to Denver to visit Columbine High School, where 12 students and one teacher were killed in 1999, the affidavit says. Her interest in mass shootings apparently led to her plan to execute one, as undercover FBI agents and confidential sources started communicating with her in August and she detailed how she developed a plan for an "upscale mass murder" at a Toledo bar. The affidavit states that her potential target changed, and later that month she said that she wanted to form a team with other anarchists and damage a livestock farm to set the animals free. "She later confirmed she was willing to sabotage anything that harms the environment," the DOJ said. Lecron shifted targets from a pig or cow farm to the undisclosed place where she worked because she couldn't find a fitting farm and believed that the company she worked for was polluting the river behind their plant, officials said. From there, she allegedly shifted again, telling an undercover agent that she was planning to pipe bomb a pipeline. She purchased propellant and 665 screws that she planned to use in the bomb to target the pipeline, the release states. The location of the pipeline was not included in the release from authorities, but local station WTOL reported that officials said at a news conference today that the pipeline in question was in Georgia. 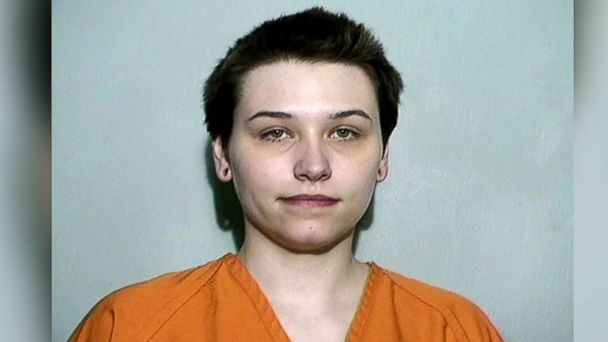 She was slated to appear in federal court in Ohio Monday. It was unclear whether or not she has a lawyer.